Note: Our office will be closed 15-30 April for Easter Break. We will process payments and purchases during the closure upon our return. These new editions update the previous 2015 editions, in full colour for the first time, and in the new A4 format. The listings have been fully revised with some additions and corrections, and with additional illustrations. Two cover prices are now provided, for solo usages and for other uses of each stamp. The relevant Postage Due issues have also been included in each volume. 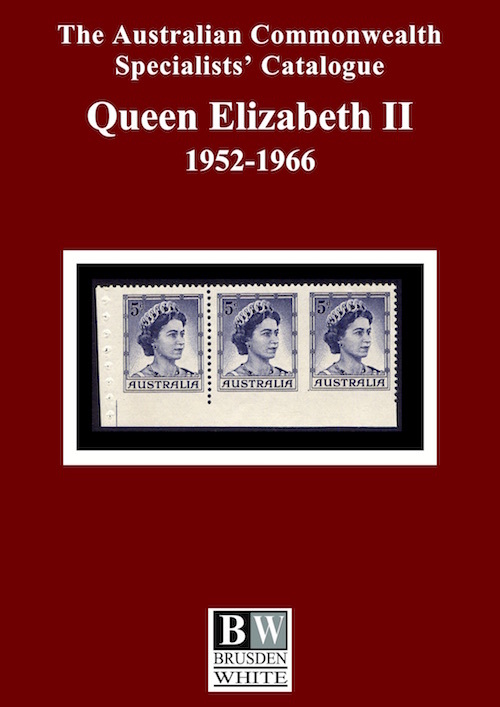 The complete set of 9 softbound volumes, covering all Commonwealth postage stamp issues through to the end of 2001, with Postage Dues (including New South Wales and Victoria) and Booklets. Postage extra on all orders. All prices are in Australian dollars. Prices and availability are subject to change without notice. Catalogue and Handbook of Tattersall's Covers, by David McNamee, FRPSL (Brusden-White, 2006), softbound, 212 pages. In 1902 the Postmaster-General implemented a postal ban on the buying of tickets in the sweepstake lotteries conducted by George Adams on major Australian horse races. In this definitive book, the author researches the many names and address variations that were used as a subterfuge to overcome the ban. No. 1 of the Brusden-White Monograph Series. Victoria: The 1895 Havelock-Foster's Postcard, by Raymond J Kelly, FAP (Brusden-White, 2007), softbound, 36 pages. The issue of this postcard on 1st November 1895 caused outrage, to the point where they were withdrawn from sale on 19th November. In presenting the Havelock-Foster's story, the author devotes attention to this social aspect, as well as to the philatelic attributes which were so different from other Victoria postcards. No. 2 of the Brusden-White Monograph Series. Australia: The 1927 Canberra Commemorative, by Geoffrey Kellow, RDP MAP APR FRPSL (2011), softbound, 72 pages. The story of Australia's first commemorative stamp, based on all the available archival records, and revealing many new facts. The essays and proofs, the issued stamp with all its varieties, the stamp booklet and the 'OS' punctures are all fully described and illustrated. No. 3 of the Brusden-White Monograph Series. 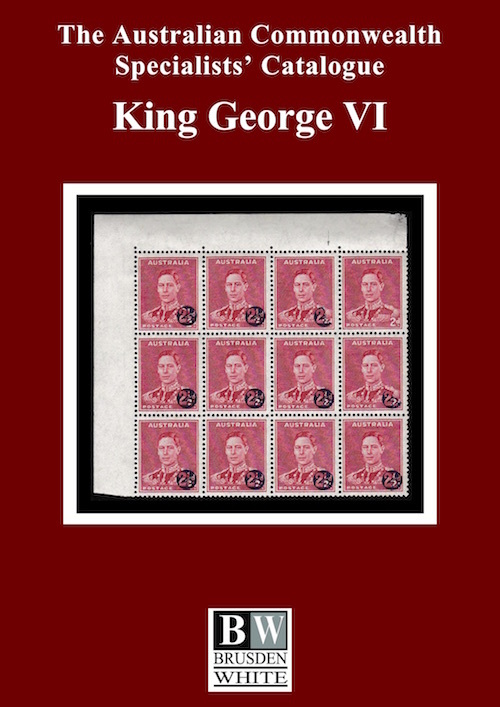 The Stamps of Victoria, by Geoff Kellow (B & K Philatelic Publishing, 1990), hardbound with dust jacket, 404 pages. 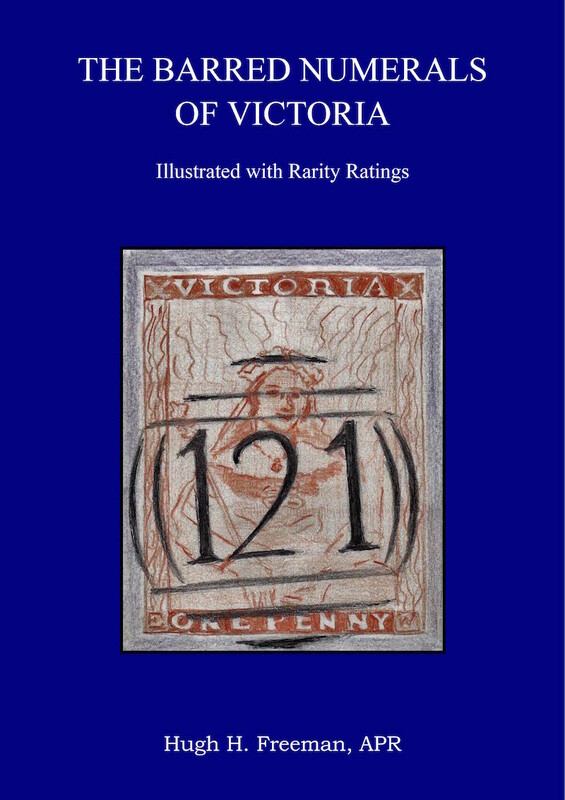 Still the pre-eminent reference, this book presents an in-depth treatment of all of Victoria's stamps. For each stamp a history is presented in its entirety, commencing with essays and proofs, production techniques, printing characteristics and quantities. All known errors and varieties are discussed. Extensively illustrated. Awarded a Gold medal at Kuala Lumpur 1992. 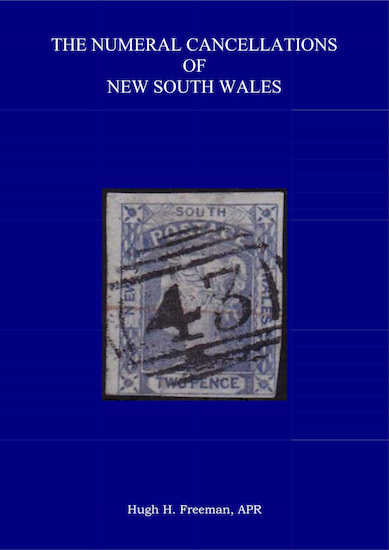 The Numeral Cancellations of New South Wales, Second Edition, by Hugh Freeman, APR (Brusden-White, 2017), hardbound with dust jacket, 376 pages. The second edition incorporates all new discoveries and revisions, with additional illustrations and adjusted rarity ratings. Hugh's research in this area has been acknowledged with the award of the Research Medal of the Australian Philatelic Federation this year. The Barred Numerals of Victoria, by Hugh H. Freeman, APR, 2018, hard-bound with dustjacket, 492 pages in colour. This new edition updates the earlier edition published by The Royal Philatelic Society of Victoria Inc with details of all new discoveries and updated rarity ratings. The great achievement is Hugh's attempt to illustrate every different obliterator which has been largely successful, with over 98% of all numerals illustrated in colour. The result is an indispensable reference for all collectors of this popular area.